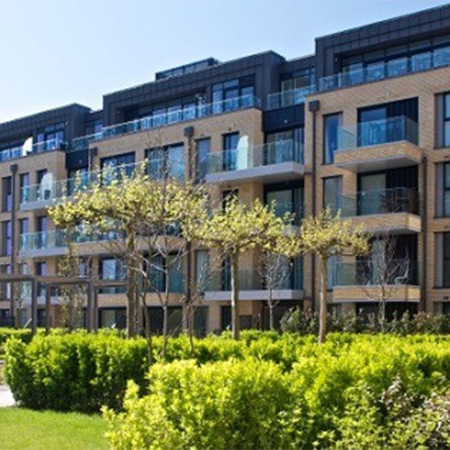 Thermogroup has delivered a total of 481 bespoke wall-heating mats for every bathroom and en-suite on this phased residential development. Phase one consisted of construction of a new supermarket and 267 residential units and phase two of demolition of existing superstore and construction of remaining 196 residential units. Thermogroup were able to produce wall-heating mats at 1.0lm at a design output of 100w/m2 and these were controlled using their manual thermostats. The company also produced an underfloor heating solution and wall-heating solution to meet the specific dimensions and output required for each mat.